Graham Kennedy wrote: I remember in the Voyager episode Prototype, the robot asks B'Elanna if the Federation uses robots, and she says yeah, sure we do, lots of different shapes, sizes, designs, etc. I remember sitting up and going "huh?" Data/Lore/B4 apart (and she does go on to talk about Data), I am struggling to think of one occasion when we've seen a single robot doing anything on any Federation ship or planet. ...and nope. I can't think of a single one. Anybody? ETA : Oh, there's the ones in Quality of Life. Three custom-built robots used in one single facility. And there's the drone thing Geordi used in the one with his missing Mommy, which was a single bespoke device that only he could use, and then only on remote. But widely used robots? Anybody? Well, there were the exocomps, and I can only assume that nanites were an available Fed technology before Wesley went putzing around with them. 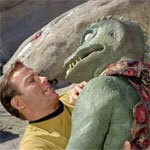 Maybe it's something about AI and not the body of the robot is what prevents Star Trek from becoming widespread. It's obvious they can create AI powerful enough to be sentient or even to do basic work. I doubt the mechanical side is preventing them. 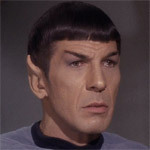 One suggestion in the novels is that things like the M-5 incident gave the Federation a degree of heebie-jeebies about genuine AI. Something they're now gradually overcoming with Data and holographic life forms. I think it's obvious that their robotics is advanced enough to create Data so they probably can do the mechanics of Iron Man. Quality of Life things are Exocomps. You've got to wonder where the line between automation controlled by a computer and a robot is drawn. There are a myriad of systems on the ship that are controlled by a computer and perform likely physical activities. Anything from the mundane opening and closing of valves, opening of doors (although they don't say how good they feel when they do it) etc. These could easily be described as robots as they have sensors and a set of instructions and perform some sort of automated actions. Take the door it senses someone needing to use the door and then opens it for them, closing it behind them. They're even remarkably good at knowing when to work and when not to, especially the doors. For a more traditional robotic system I suppose you could think of "The Arsenal of Freedom", were multiple "killbots" were manufactured to order by another automated system. Probes also fairly much fit into the robot concept, they're given a task, have a range of inputs and go off and perform it until they ether can't or are told not to any more. You could also say the same about photon torpedoes, they're given instructions and sent on their way to achieve their goals. We've never seen one recalled or even re-targeted in mid flight (as far as I can remember). The only exception to that is the Voyager "Cardassian Dreadnought", which you can beam aboard and reprogram even while en-route to it's target. Maybe its an arms race. And Counter measures are so far in advance that its not practical. Ai or robots can be hacked by your enemy and turned against you so no one uses them.